At last after all the difficulties, Papanasham is reached theater today. It is the remake of Malayalam blockbuster “Drishyam” which was released on December 2013, and made new history on box office. After Complete Actor Mohanlal this is the time to see Jeethu Joseph's excellent story in Universal Star Kamalahasan's acting excellence. So as the story wise nothing need to say, most of the peoples already watched the various versions of exact “Drishyam”. Previously it released over Telngu, Kannada and it made huge amount in box office. July 31 Hindi version also going to release. 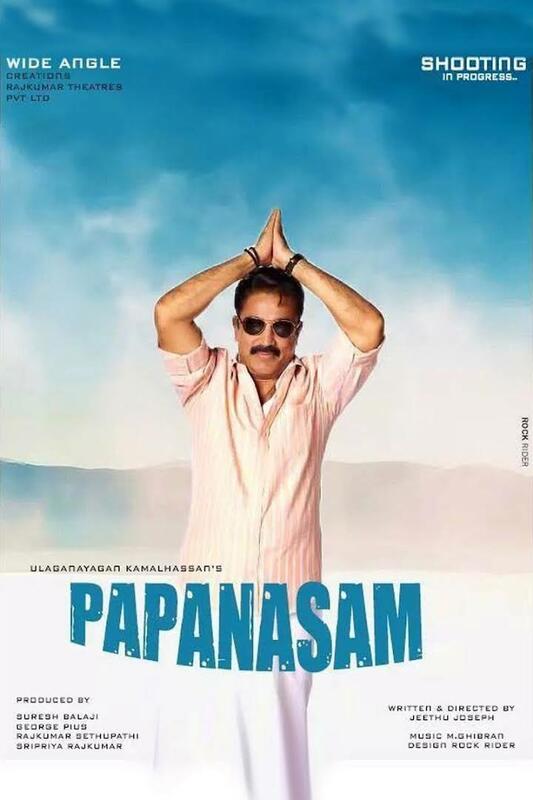 The movie says the story of a family living a peaceful life in a small town called Papanasam, Thanjavur district. Suyambu Lingam, played by Kamal Haasan is an honest husband and a caring father of two daughters who makes sure to keep his family happy despite suffering from monetary struggles to lead a lavish life. When Kamal Haasan's elder daughter, played by Niveda Thomas, falls victim to today's technology handled by a wrong person, a cinematic twist ensues changing the film from a family drama to a well written sleek thriller. As a result of an aftermath, Kamal Haasan's family gets entangled in a difficult situation. When they decide to stand against it, they realize that the issue they're up against is more than what meets the eye. As what all expected, Kamal Haasan stands out with his awesome performance. But if you try Kamal Hassan with Mohanlal, then expression wise Kamal hassn fails some times. Kalabhavan Mani, entrusted with an absolutely critical role, accepts the challenge with open arms. His performance, which is as real as it can get grabs your attention from the word go. Gautami who is making a comeback to Tamil film industry impresses with her convincing performance, her efforts to make the audience sympathize with her character is praiseworthy. Supporting cast including the two girls have delivered the goods. Overall Papanasam has been served well by all its actors and actresses.